Because you're throwing the best party of your life, and you want the menu to be picture-perfect *and* delicious. 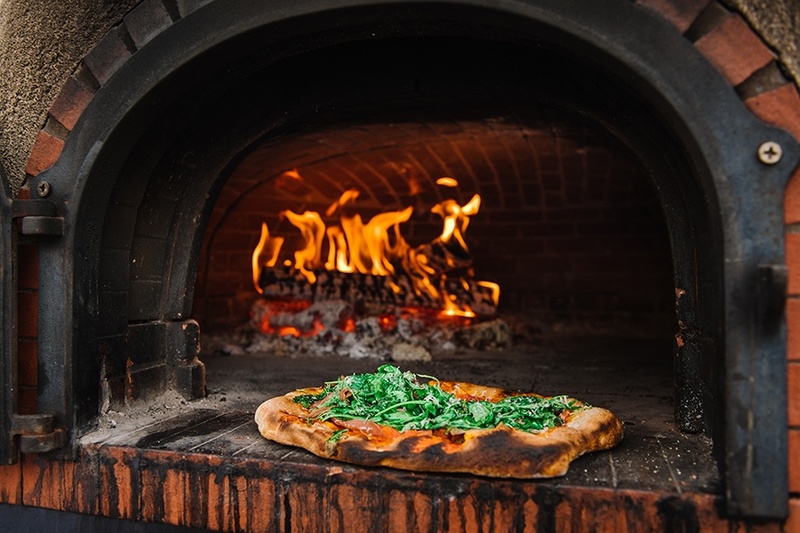 By Gina Tomaine and Isabelle Chausse·	 3/28/2019, 8:00 a.m.
Philly has finally been getting the recognition it deserves for having an incredible food scene, with outstanding chefs, original menus, and high-quality service (and yes, amazing cheesesteaks, too.) Luckily for us, that means our wedding and event catering is top-notch, too. There are innovative and classic local caterers for every style of wedding, whether you’re throwing an intimate event or an elegant ballroom fête. 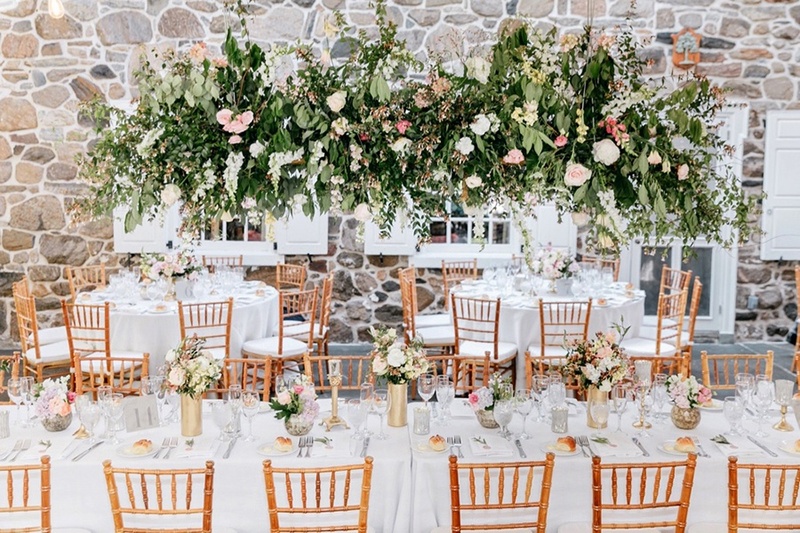 Below, read up about some of the top wedding and event caterers in the greater Philadelphia area, so you can get planning your dream menu. 100 Penn Square East, Midtown Village. Finley Catering are the exclusive caterers for four famed local venues: Ballroom at the Ben, Ballroom at Ellis Preserve, Crystal Tea Room, and Union Trust. Their filet mignon with a merlot demi-glace is a crowd favorite and can be paired perfectly with some dauphinoise potatoes. For dessert, local favorite Termini Bros Bakery handles the cake, and Finely provides a full Viennese dessert room with all the pies and pastries your guests can handle. They also offer flameless sparklers to help make the first dance that much more picture-perfect (they’re completely safe for indoor use.) And to end the night in true Philadelphian style, your guests can walk out with a cheesesteak or soft pretzel. As the exclusive caterer to premiere Philadelphia venues like ONE North Broad, The College of Physicians of Philadelphia, and the Michener Art Museum, Catering By Design offers menus that are some of the best in the ‘biz. And they should be — they’ve been doing this for 30 years. They can handle everything from upscale weddings, elegant galas, to picnics for 5,000 people. Plus, their menus are carefully crafted and your décor needs artfully executed by their design arm, garnish — so you won’t have to worry about a thing. 3312 Spring Garden Street, University City. 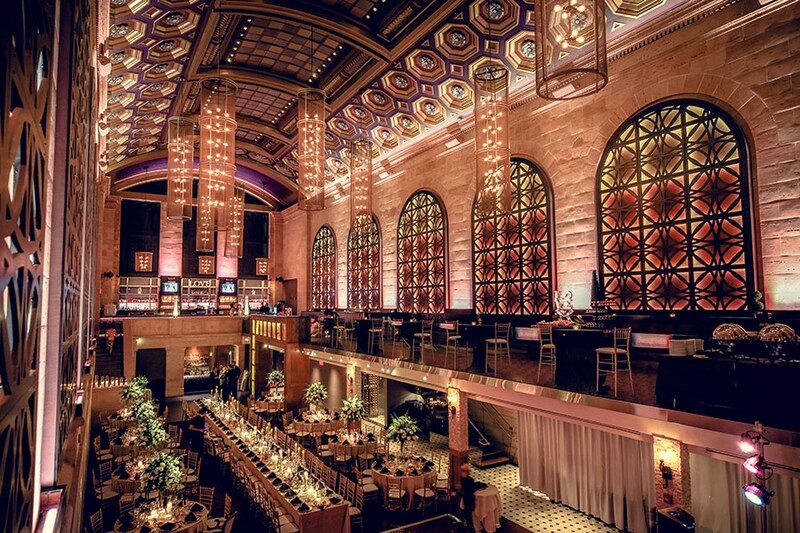 Boasting a list of previous clientele including Allen Iverson, Joe Biden, and Neil Patrick Harris, 12th Street Catering is ready to take on your event no matter how large (they’ve served a party of 5,000 guests). They incorporate sustainable practices by sourcing dairy from local farms. Plus, they have their own rooftop garden that provides fresh produce and garnishes to create your salads and top off your cocktails. They are the exclusive caterer for the Academy of Natural Sciences of Drexel University, as well as the exclusive-preferred caterers for a number of other venues in and around the city. Every menu item is customizable, down to the cutlery and plating. 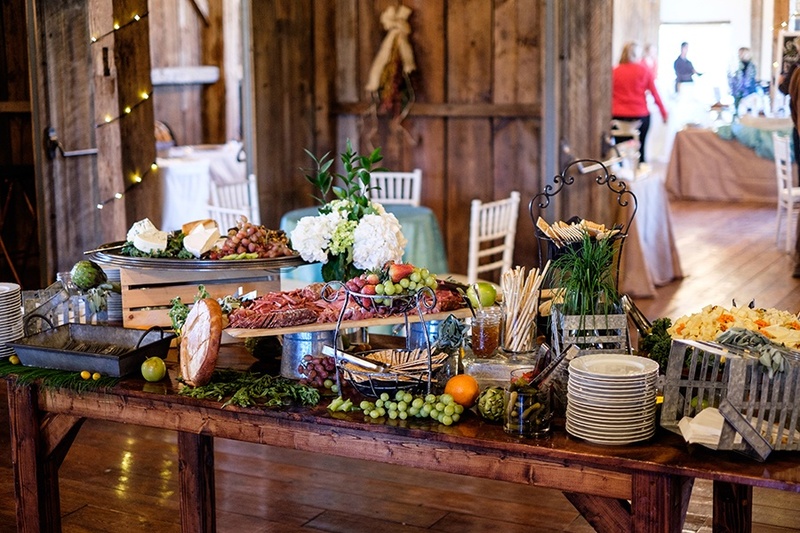 Robert Ryan Catering are the exclusive caterer to Barn on Bridge in Collegeville, the Columbia Station in Phoenixville, the High Point in Malvern, and and the Philander Chase Knox Estate in Valley Forge National Historical Park. They’re also available at events elsewhere. Menus vary and can be based on a theme, culture, favorite travel destinations (they’ve done Indian, Ethiopian, Vietnamese and Ecuadorian). They can also offer anything from a single dietary-restricted plate to a fully gluten-free or vegan menu, and every package includes a custom wedding cake. They also have fun-filled offerings like the popcorn bar, live sushi station, or liquid nitrogen ice cream station. At the end of each event, leftovers are donated to the Good Samaritan Shelter. Sage Catered Events is the talented caterer for some of Philly’s favorite venues: Grace Winery, Cairnwood Estate, Cira Green, Colonial Dames, to name a few. 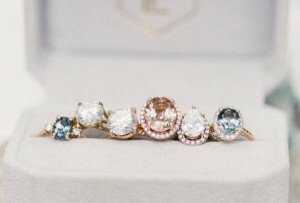 This dynamic caterer offers fresh, unique and customizable menus, ranging anywhere from a completely vegan menu to Indian to summer-light and small-plates. Some of their crowd-favorite food options are their slider stations and land-and-sea taco station. When it comes to dessert, Sage’s offerings include an ice cream station, s’mores, and all the mini pastries you could imagine. Sage also sources their ingredients locally, so that cheese board you serve will be right out of Chester County. 2401 Walnut St, Center City. Being both caterers and restauranteurs, and with a completely customizable menu, the Garces Group is ready to handle your Big Day. They are the exclusive caterers to venues such as the Kimmel Center and the Circa Centre, but are also available at events elsewhere. Build-your-own ceviche stations and portable pizza bars are just a few of their more unique offerings. For dessert, they’ve got house-made confections and a donut bar station to provide for the strongest sweet tooth. They source locally as often as possible, and work with the Broad Street Ministry to provide meals to those less fortunate. 1412 Mt. Vernon Street, Spring Garden. 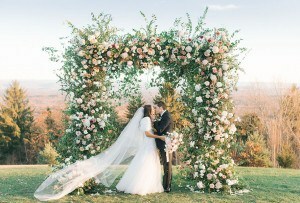 These wedding pros have worked with some big names from Mayor Kenney to the Eagles and 76ers. Offering a customizable three-course menu and table-side ordering on the big day is just the tip of the iceberg for Cescaphe. With their signature cocktail hour-and-a-half of lump crab meat, jumbo shrimp, and whole lobster tails, Cescaphe has your guests satisfied from the start. Perhaps your guests will stop at the Rosé Bar for a drink, or head over to the live sushi station for their seafood fix. 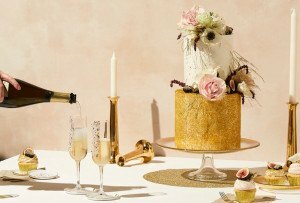 For dessert, their chandelier cake is a major crowd-pleaser. They also offer a wide variety of vegetarian, vegan, and gluten-free options prepared by their award winning team. Cescaphe owns and operates a variety of venues that they cater for exclusively such as the Cescaphe Ballroom, the Tendenza, and the Down Town Club. They source locally whenever possible, and donate to organizations like Philabundance and the Philadelphia Food Bank. JAM catering has been around in one form or another since 1980. It was founded by Jeffrey Miller, a Wharton School grad, and they bring a fun and unique twist with offerings like a BBQ in-a-jar station and hanging pretzel bar, on top of their already customizable menus. Their in-house pastry department also offers specialty cakes and desserts. With a certified-organic garden in Waterloo Village, they can provide sustainable and locally sourced produce that they grow themselves. Not to mention they’ve just recently catered for Carson Wentz! 175 King of Prussia Road, Radnor. Peachtree’s process starts with their signature dish suggestions and moves into complete menu customization. Tuna tartare, mini-sliders, and short ribs are some of their crowd-favorites, all sourced as locally as possible from partners like Happy Valley Meats and Pinelands Produce. For our more adventurous dessert lovers, Peachtree offers fun items like a pie bar, chipwiches, homemade funnel cake, liquid nitrogen ice cream and more. On top of offering a Peachtree Kosher Kitchen, they are also implementing recycling and composting programs to help limit their local carbon footprint. Peachtree owns two venues, PARQUE and POMME, but is also available for events elsewhere. 835 Lincoln Avenue, West Chester. From pre-set menus to a recreation of your favorite family recipe, Serock Catering can personalize your menu, as well as accommodate vegan and gluten-free food options. They are a preferred caterer to a variety of venues throughout the Delaware Valley. Some of their specialties are jumbo lump crab cakes with roasted corn salsa and whole grain mustard sauce, and bread pudding with bananas foster, topped with fig and ricotta gelato. Their dessert stations include a build your own s’mores bar, mini 3” pies, and create-your-own-crepe station. Thier wedding cake by their partners over at Master’s Bakery. 1406 S Front St, Pennsport. Brûlée Catering are total pros, and have worked worked with celebrities like M. Night Shyamalan and served the likes of Muhammad Ali, Steven Spielberg, and George W. Bush. 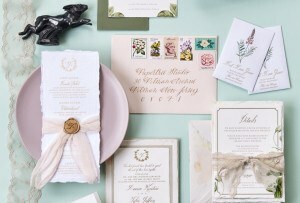 They offer a slew of wedding packages at varying price points, followed by consultations with their sales managers in order to create the most customizable menu that stays within your budget. 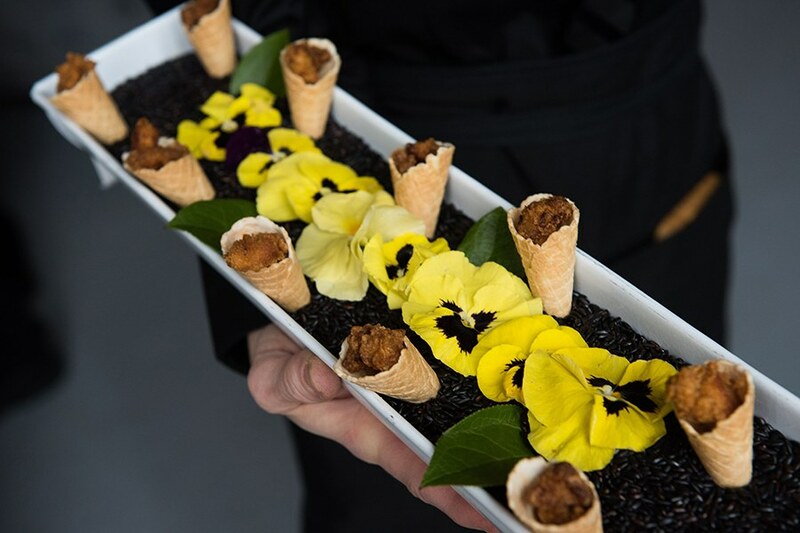 Some fun small-bites offered during cocktail hour — like their chicken and waffle cone served with house pickles and spicy maple syrup — can wow your guests right off the bat. Brûlée also partners up with food-trucks from around the city to give your guests an amazing late-night snack. Some of their locally sourced items include mushrooms from Kennett Square, proteins from Lancaster, and ingredients from specialty Philadelphia vendors as well. 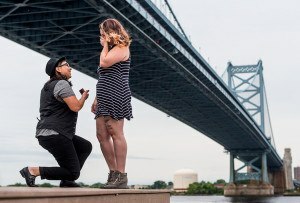 They are the exclusive caterers to more than a dozen famed Philadelphia venues like the MET and Constitution Center, but are also available for other locations. 667 N Broad St, Spring Garden. Constellation Culinary Group can create seasonal dishes made from local ingredients, or offer their tried and true signature recipes, each with their own special twists. They offer food stations which include made-to-order salads or platters, as well as professional mixologist demonstrations. 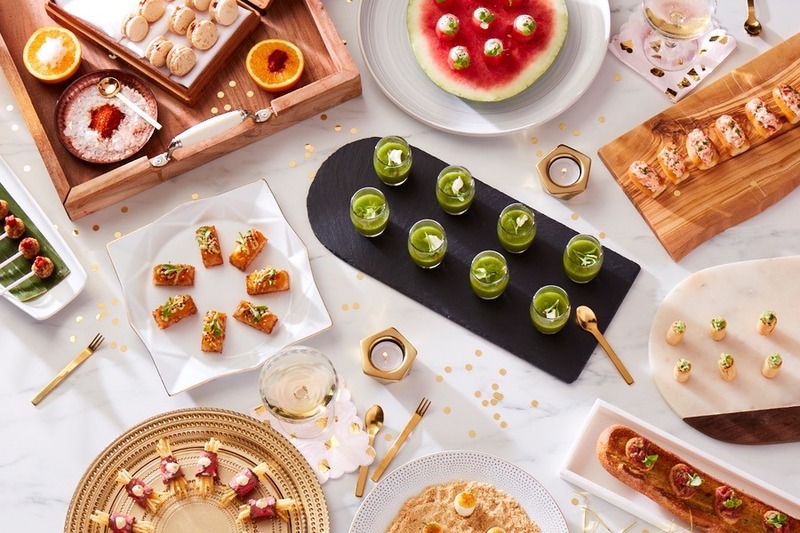 For dessert, guests can treat themselves to dulce sea salt tartes, red velvet whoopie pies, mini cinnamon donut holes, peanut butter s’mores, or a build-your-own dessert station. They are the exclusive caterer to a number of famed venues like the Philadelphia Museum of Art and the Barnes Foundation, but can go to events at a location of your choosing. They source locally as often as possible, most notably for all the cheese offerings from Maple Brook Farm. They also partner with both Philabundance for food drives and the “Kick Hunger” food security initiative. 1938 S. Chadwick Street, Point Breeze. For all the vegan, kosher, or just-trying-something-different couples, Miss Rachel’s Pantry is your place. They offer customizable vegan menus to suit every cultural background, theme, and overall vision. Appealing to an omnivorous crowd with a completely vegan menu is easy with offerings like their crab-style cakes and seasonal gnocchi with red pepper cream sauce. Miss Rachel’s Pantry offers dessert spreads of their own, but also frequently partners up with other women-owned small businesses to create vegan treats and wedding cakes. On top of these offerings, they also have a passion for sustainability; serving with compostable cutlery, sourcing local produce, and donating leftovers to the vegetarian grassroots organization Food Not Bombs. 1655-298 Oak Tree Road, Edison, NJ. Whether you’re looking for a traditional Indian menu or a combination of cuisines, Moghul Catering is looking to tell the story of your relationship in the most accurate way possible. Their goal is to create a menu that combines the couple’s tastes and heritage in order to use the food as an expression of the relationship. With a diverse staff of chefs and food specialists, Moghul offers services in the Philly area, as well as across the country and even internationally. At Feastivites, you can work directly with their chefs to create your perfect menu.Their signature dishes change on a weekly basis, as they are always trying something new by combining traditional ethnic foods with modern and sustainable elements. When guests arrive they can start out with interactive cocktails that include freshly squeezed fruit and flower ice cubes, as well as the option to opt for a delicious mocktail. For dessert, they can offer simple treats like hand-torched s’mores, or more elaborate options like mascarpone cheesecake topped with sauteed dark sweet cherries and orange zest flambéed with brandy. Feastivities can create menus that for gluten-free, vegan, and vegetarian guests, all while using ethically produced, locally sourced and additive-free ingredients. 1750 North Front St, Kensington. With partner venues like Grace Winery and the Ballroom at the Westside, they are capable of catered events with 10-700 guests, so even the largest of guest lists can be accommodated. Preset, a la carte, and completely custom menu options are all available (including vegan and gluten-free). One of their favorite signature dishes is the pesto-crusted grilled chicken with mozzarella tomato relish on toasted focaccia, but that’s only the beginning. They offer a number of live stations, ranging from savory options like lobster slider and sushi stations to sweet offerings like donut walls and cupcake towers. For dessert, guests can opt to try something from the Kentucky bourbon bananas foster station or boardwalk funnel cake. For all of our Lifetime fans out there, if you’ve seen Married at First Sight, then you may already be familiar with Tasty’s work as they were chosen to be the exclusive caterers for four weddings on Season 8. 6531 Germantown Avenue, Mt Airy. Herb Scott Catering offers catering ranging from sit-down dinner, station style, cocktail party, to backyard barbeque, each with their own unique flavors and vision, as well as customization options. They’re available for the venue of your choosing. Call to get more details on their options, pricing, and plans. Happy National Food Day! Personally I celebrate food on a daily basis, but on this day, I’d like to give a special shout out and say: food, I’m a big fan of you. Thanks for being delicious in your many forms and for motivating me on the daily. Also, how inviting is this tablescape with the plated salads and bread? I love plated wedding dinners! 409 W. Bridge St. New Hope. From single plates to platters and trays, Jamie Hollander’s offerings include items like seared Ahi tuna with Thai noodle salad, wasabi, sriracha sauce, and scallions, or their rosemary-rubbed roast beef tenders, as well as more casual-style menu including platters of fresh fruit, cheese, and vegetable crudités. They also offer gourmet dessert trays with all sorts of cookies, brownies, and mini-tarts to make your big day that much sweeter. Jamie Hollander is the exclusive caterer to the Glenn Foerd Mansion on the Delaware, and is available at events elsewhere. 205 South 13th Street, Center City. Full-service extraordinaire IndeBlue is prepared to cater to any event from the start of the planning process to the break-down of the venue after the Big Day has ended. They are the exclusive Indian cuisine caterer to the Collingswood Ballroom but are also available for events at any location. They offer equipment rental, set-up, bartenders, and professional servers on top of their raved-about food. Family-owned and operated for over 80 years, Conner Catering has the more personal touch you may be looking for. They are ready to provide food of the highest quality whether your desired menu style is traditional or unique and unconventional. They are partnered with a variety of venues like the Old Mill in Rose Valley and the Baldwin School, but are available for events elsewhere. 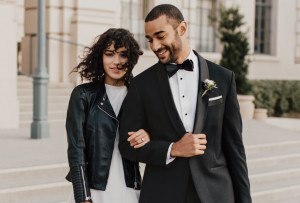 The name Schulson is well-known in Philly for popular restaurants like Double Knot, Harp & Crown, and Izakaya, and now you can experience these tastes on your Big Day, too. 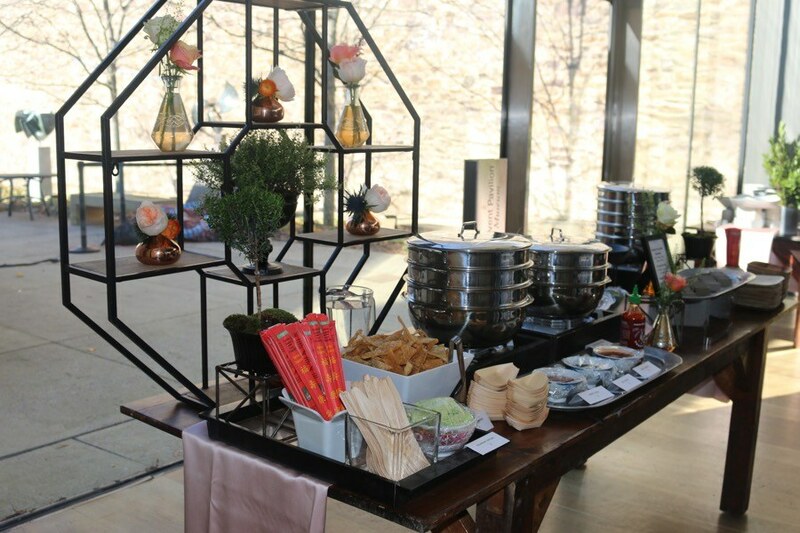 Schulson Catering can bring customizable, restaurant-caliber taste to your venue. They have options ranging from sit-down, buffet, signature stations and more. With sustainability and social responsibility in mind, Birchtree Catering prides itself on clean, simple, and seasonal offerings, all locally sourced. They’re the exclusive caterer to the Awbury Arboretum, Historic Strawberry Mansion, and Globe Dye Works, but they’re also available for events elsewhere. Head Chef Joe Topper has spent years perfecting their popcorn bar snack (to the point that they have thought about starting a popcorn company.) 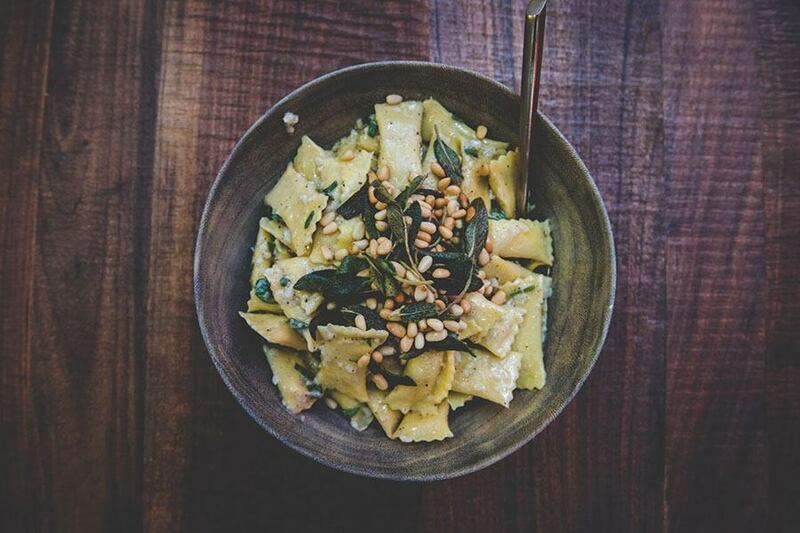 And if that doesn’t do it for you, maybe their delicious ricotta gnocchi will do the trick. With an emphasis on farm-to-table cooking and customization, J. Scott Catering will work closely with you to plan their menu. Their highly-trained staff and talented planning team can help to make even your most extreme dreams a reality and have your big day go on without a hitch. They’re the exclusive caterer of the Phoenixville Foundry and Springton Manor Farm but are also available for events elsewhere. Get in touch with them on their website for more information. 1626 North American Street, Kensington. With the recent addition of Jan Demarzo as Vice President of Development comes a new chapter of Neuman’s Kitchen right here in Philly. A powerhouse of all-things catering in Manhattan, Neuman’s has made the move and is already off to a strong start here despite opening only two years ago. Boasting award-winning recipes and an impressive list of previous clientele, Neuman’s is prepared to make your wildest food dreams a reality. They offer a list of preferred venues but are also available for events elsewhere.